In my previous blog, How To Avoid Loan Modification Scams, I went into great detail on important tips needed in order to guide you in your loan modification journey. Feel free to read that blog, which I have been told it has been extremely helpful. In my updated Blog called Loan Modification Scam Update, I will be providing answers that pertain to many of the questions I have been asked in the past. Many people come to me for my guidance and direction as to where they should go to get good reliable help. It is extremely hard to find this because it seems that many places that claim to help people, actually are in it just to make a quick buck. This can be very frustrating to a family who is in distress and in need of immediate help. This is one of the many reasons why still thousands of homeowners find themselves right smack in the middle of a scam. It is because when there is urgency, a lot of times our minds are consumed with anxiety and worry which makes it hard for us to spend the time we need to in order to ensure we get the right kind of help. So we end up falling into a trap. For those of you who have found my blog BEFORE being taken advantage of, please keep reading as my information may help you avoid a Loan Modification Scam. But before I begin I would like to share something with all of you. Previous to this blog I have written about 150 more blogs. I have never mentioned how I lost my own home to foreclosure back in year 2000. Who would have thought after being with a company for 6 years and worked every schedule they gave me, they would fire me when finally it came to a point where my daughter's daycare center couldn't comply with yet another schedule which forced me to ask the General Manager to please allow me to keep my current schedule in order to keep my daughter in this daycare. His response was, "If you don't show up for work on Monday according to your new schedule, don't come back at all." Well, Monday I didn't show up in fear of losing daycare for my daughter." That day i received a phone call and was told I am being fired. I remained out of work for 4 months and during that time I fell behind in everything. I had a little help from family but it wasn't enough. By the time I found another job, my house was in foreclosure. There was no help for me then. No loan modification being offered to me. It was pay up or get out. The point in me telling you about my foreclosure experience, is to encourage you through all of the distress you may be feeling. If at any time in your life a hardship was to take place that would eventually lead to your home being in danger of foreclosure, let it be now. There is help now. You are not alone. Even if your bank turns you down for some obsurd reason, there may still be hope. Banks are now working with 3rd parties to provide mortgage solutions. Why? Because foreclosures has become an epidemic now. They are in dire need of help. There are not enough staff in the mitigation departments to go it alone. Homeowners that deserve loan mods are being put on the back burner because of the work overload which are resulting in more foreclosures. Many have tried to work with their lenders, maybe you have to. Unfortunately in a lot of these case people are finding that the lenders are hard to get in touch with, hard to get the same person on phone and end up telling your hardship story over and over again to different people, or are being told that faxes weren't received, certain pages weren't filled out correctly. All of the above prolongs the entire process and again, sometimes results in foreclosure, other times your loan mod has been denied for some un-Godly reason, or maybe they have just granted you what I call a quick fix, instead of a permanent resolution. This is why it is imperative that if you decide to seek help from a 3rd party to represent you and to go to battle for you, that you choose wisely. Even though the Feds have cracked down on many Fraudulent and Misleading Loan modification companies, there are still many out there untouched. The few out there that are really trying to do right by folks, pardon me because I mean no disrespect, do not have the expertise, legal knowledge or leverage to ensure you the best outcome for your loan modification. Most of us seeking help to save our home have encountered a hardship which prevents us from keeping up with our mortgage payments. This means that if we do hire someone to represent us, it will probably be our last dollar. Everything we have left in our bank accounts to save our home. If we strike out and hire someone who scams us and is incompetent, most of the time we have used up our last chance at saving our home. This is why I advise you to hire a Licensed Real Estate Attorney or Law Firm who has existed for more than 10 years to take on your case. But the bus does not stop here. Below are some tips to help you when making a decision on who you should trust to take on your case. Will review your entire file for free to honestly tell you if you qualify for a loan modification. RETAINER PAYMENT DUE AFTER CASE HAS BEEN ACCEPTED BY THE LAW FIRM. A Caring Staff who treats you like a person instead of a number. Has the legal means to place your foreclosure on pause if more time is needed. Will Negotiate with your lender to ensure the best loan modification (lower rate, forgiven past due payments, and/or longer term which will result in a lower, more affordable payment) for you. 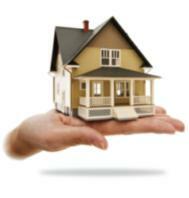 Has a physical address which allows you to visit the Firm at any time if you desire to do so. Will be upfront with you and will not make any promises, as negotiating, means just that. It is impossible to promise any kind of rate or term when it needs to be negotiated. A good track record. Where if you check reputable agencies you will find there are no pending fraudulent cases and will be able to verify licenses with the bar Association. Will determine if you qualify for The making homes Affordable program and if not then to see if a standard loan mod approved by your lender would be best suited for you. A Money back Guarantee; Most Law Firms or Licensed Attorneys do not provide any kind of refund based on the outcome. Make sure the Attorney you choose does offer a money back guarantee. I pledge to be 100% honest, diligent, and treat you with integrity. If you feel this information was useful, please feel free to comment. Do Not advertise on my Blog.